You have undoubtedly used rosemary in your culinary dishes but did you know that this pungent herb can also help with thinning hair? Rosemary oil has a wonderful woody aroma. Like lemon, it is a highly invigorating oil that is rich in a variety of antioxidants that have been shown to treat thinning and premature graying hair. This essential oil works by promoting blood flow to the scalp and stimulating hair follicles growth (6). Rosemary is also a wonderfully versatile oil that can be used for both oily hair or for dandruff. Rosemary can counter the action of the sebum glands that produce excess oil. It can also help to unclog pores that can cause dry, itchy skin on your scalp. Overall, essential rosemary oil will promote healthy, strong hair that is full and thick (7). 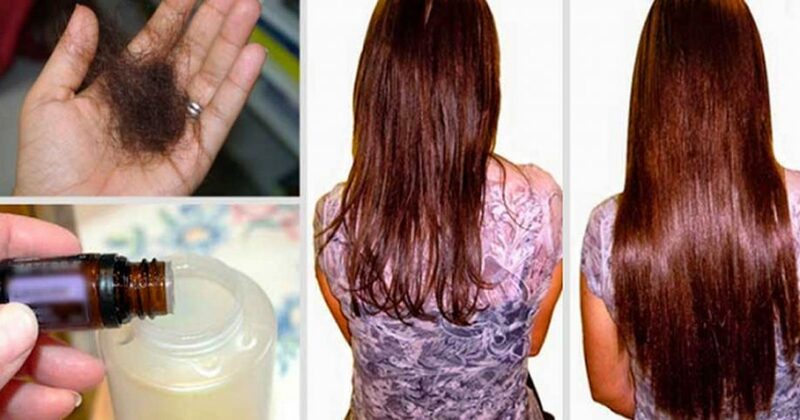 The last ingredient in this powerful homemade healthy hair treatment is vitamin E.
You can buy vitamin E in capsules or as an oil. If you use oil, simply add about 10 drops. If you have capsules, break open two capsule with a safety pin and squeeze the oil into your shampoo. Vitamin E is one of the most powerful, fat-soluble antioxidants available. It is known to help repair damaged hair follicles, prevent tissue corrosion, and promote healthy hair growth. One study even showed that people who take vitamin E as a supplement can experience a 34 percent increase in hair growth (8). Another study showed that vitamin E may even reverse male pattern baldness and increase hair growth by 42 percent (9). When used topically on your scalp, vitamin E can improve hair growth and regenerate new growth by rejuvenating hair follicles. Overall, vitamin E prevents hair loss, strengthens hair, improves volume and prevents premature graying. This luscious oil can also help prevent inflammatory scalp issues such as dandruff and dry, scaly skin that can ultimately affect your hair health and appearance (10).